The critically acclaimed “Live in Paris” live music CD by Diana Krall is currently on sale for $5 in new condition at Amazon.com and this also includes an instant mp3 version of the album when you purchase the CD. Free shipping if you are a Prime member or if you place a $35+ order. This live album has 12 tracks and was released in October 2002. If you are not picky on colors, you can score the 14oz Forlife Bell Glass Teapot with a removaable stainless steel basket infuser for $20.22 at Amazon.com. This is the lowest priced among the twelve different color options as of the time of writing. They are all the same, except for the color of the ring-lid. This is great if you are making multiple infusions or brewing small quantities of tea at a time. It averages 4.3 out of 5 based on 12 customer reviews. Free 2-day shipping if you are a Prime member, or free super-saver shipping with a $35+ order. You can buy as many as you like, this is not a lightning deal. At Smart and Final stores, good until 6/7/15, you can buy 20pk Tazo teas (tea bags) for $3 per box. They do not carry the full Tazo line-up obviously, but among others, I spotted the Awake breakfast tea and the Zen tea, which, if I recall correctly, was the default iced green tea at Starbucks stores before they purchased Teavana and replaced Tazo teas with their own. Availability and options will likely vary in different S&F stores, so there is some YMMV to this. Walgreens added a new twist to make their Rewards program more lively and interesting. This new offer requires a manual opt-in. 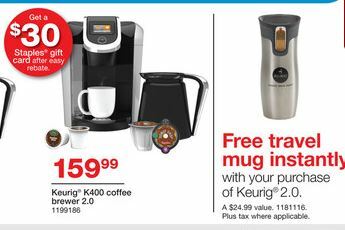 Check your emails from earlier this week for the offer, or wait for the coupon in the Walgreens circular ad in-stores (or the Sunday papers) for Sunday May 31 in 2015. 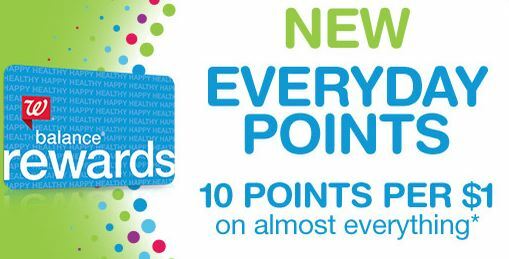 This new offer gets you 10 points for almost every $1 spent at Walgreens. The usual exceptions apply per the various federal and state laws. You also don’t earn rewards if you use rewards to pay for something. Other than that, it looks like almost everything else gets rewards. If you are a Starbucks Rewards member, check your emails or app inbox for yet another promotion. This is a one-time use offer, runs between May 29 and June 7 in 2015, and gets you five bonus stars if you purchase specially-marked coffee products (not coffee drinks) from Starbucks stores, grocery stores, or their website. This includes whole bean, ground, VIA, Verismo or K-Cup pods. Check your emails and their website for more details and how to earn the stars depending on where you buy them. You don’t have to opt-in, this offer is loaded automatically. The 5 bonus stars will appear in your account by 6/17/15. If you have a Samsung device, and a Samsung account and use the Samsung Galaxy Apps Android store, and you install the Kindle app from the Samsung app store (not Google Play), you can get one free e-book per month. This is not unconditional, you have a choice between four e-books. The Samsung Kindle app can co-exist with the Google Play Kindle app. I had the Google Play version pre-installed and installing the Samsung version did not interfere. They do not share the same local downloads but obviously share the same cloud library of the same Amazon account. This promotion is available to everyone with a Samsung and Amazon accounts. You don’t have to be a Prime member. The promotion is independent of the Kindle First promotion and the Kindle Owners Prime Lending Library. You can take advantage of all promotions each month! If you are a Starbucks Rewards member, check your email or your Starbucks app. A new promotion is starting, and you must manually opt-in to the promotion by clicking the link in the email or the app. 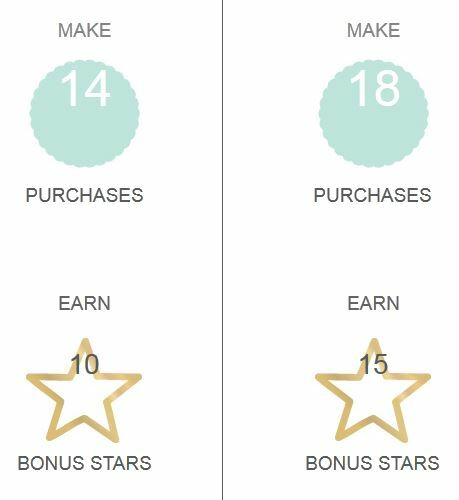 For the time period of May 26 to June 8 in 2015, you can earn 10 bonus stars if you make 14+ purchases, or 15 bonus stars if you make 18+ purchases. 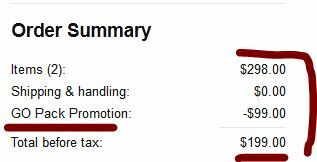 Given the bonus, this is not a promotion where you go out of your way to max out, since the bonus is roughly half a star per purchase. One way to evaluate this: a single star, if you assume a $6 reward redemption (more expensive food items or large frapps), has roughly a 50 cent value. So the bonus is roughly 25c extra per purchase. If you are/were a Rite Aid shopper, chances are you are/were part of their Rewards program. And Rite Aid is changing things up again, this time they are moving their reward program to the more general-purpose Plenti Rewards program that has various retailers and services also hooked into. Think of it as a sort of Fatwallet for brick and mortar and online shopping and services – of sorts. So as an existing Rite Aid shopper, I showed the cashier my old Wellness+ Rewards card. The cashier did some work (and check that my info was corrected) and handed me a new Plenti booklet that includes a full-size and a keychain size plastic Plenti rewards card, along with some more information and, of course, the obligatory Terms and Conditions. If you look around the RiteAid store, you may also notice a checkbook-size Plenti booklet that describes some of the initial promotions, it’s called “Save with welcome offers worth over $100 inside”. In case it wasn’t clear, the Plenti Rewards program is part of American Express, which definitely explains why you can link it to the Membership Rewards program and transfer points there. The VISA promotion is back at Staples brick and mortar stores. 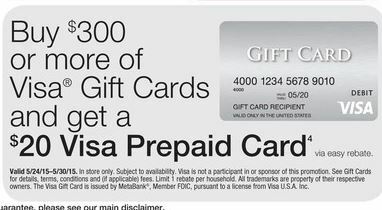 For the week of May 24-30 in 2015, if you purchase $300 or more in prepaid VISA gift cards, you can receive a $20 Staples Gift Card back via Easy Rebate, which can be submitted online (nothing to mail). Typically you reach the $300 minimum amount with one $200 and one $100 gift cards, which leaves room for a profit on the transaction, it is essentially a 2% return on investment with a one month vesting period (the time it takes for the rebate to be processed and delivered). This is described as a B+ Stock, so don’t expect cosmetic perfection. This is model N900, with 32GB on-board storage, factory unlocked, GSM. No contract, which is what makes it tempting. You can use it as a Wifi-only device, or with any compatible GSM provider. The all-important S-Pen and other accessories are included. If you are looking for the Samsung Galaxy S3 to use as a media player or for experimentation or as a phone with a low cost monthly fee, for a limited time, Groupon Goods is offering the certified pre-owned Samsung Galaxy S3 for the Freedom Pop network, in either blue or white, for $90 with free shipping, with free returns, and a 90 day warranty from Freedom Pop (warranty not from Samsung). This is a 4G LTE phone which is good, because the Sprint 4G WiMax service that Freedompop relies on is being dismantled and will be dead as a doornail before the end of 2015. Freedompop’s monthly plans include a free option, but when you activate, pay attention to the various 30-day premium feature free trials. If any of those are activated and you don’t need them, you have to manually turn them off if you don’t want to pay any monthly fees. And if that fails, you can always contact customer service and ask them to reverse free-trial-gone-wild charges. NOTE: this phone is locked to Freedompop. They are the only cellular provider for it. However, you can use it with any Wifi network if you don’t need cellular service.